You’d think we’d learn our lesson by now with these darn 24-hour races. 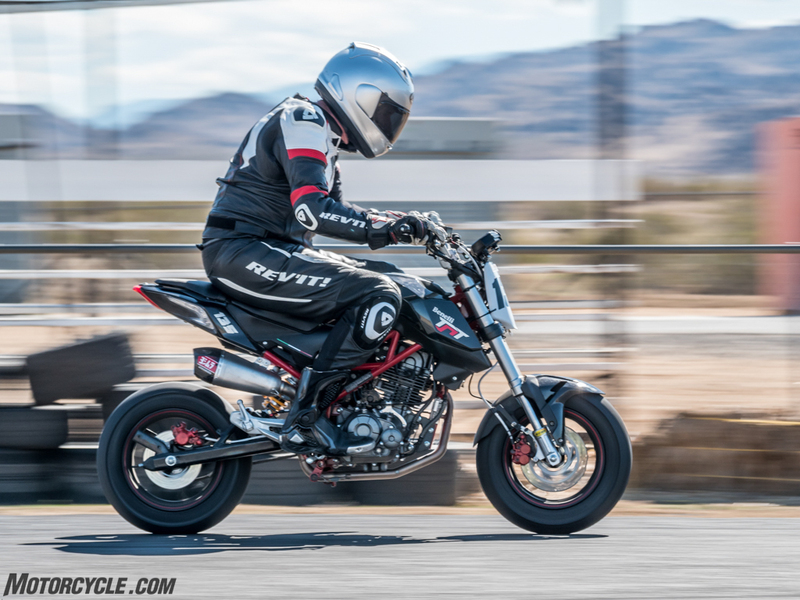 Our Grom debacle was a serious test of our resolve and had us questioning why we even rode motorcycles in the first place, while our time aboard the Kymco K-Pipe we also rode around the clock didn’t present us with any problems, but boy was it ungodly slow. 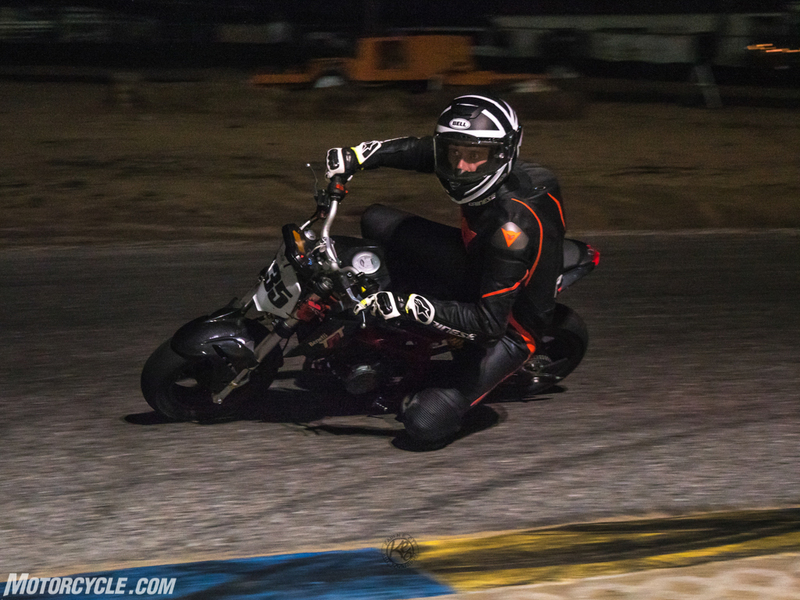 Maybe in my attempt to recreate the sense of accomplishment that comes with being the first electric team to complete a 24-hour race, I’ve tricked my MO cohorts into thinking racing little bikes for a whole day is fun. Thankfully, being MOrons, we clearly don’t learn our lesson. As the story goes, we didn’t really have plans to participate again in 2018. There wasn’t much interested in doing another Grom build (or a Kawasaki Z125 for that matter), the Kymco didn’t excite us much, and for whatever reason we couldn’t get ourselves enthused over the other little bikes currently on the market. Then I rode the Benelli TnT135 for the first time. With a bigger engine than the Groms and others in that class, four valves, two spark plugs, and one extra gear – not to mention surprisingly good looks for an inexpensive motorcycle – my enthusiasm levels quickly perked up. You’re captured by the Benelli TnT135 by its blatant MV Agusta-inspired styling. You’re (meaning we MOrons) are inspired to throw it into a 24-hour race by its specs and performance. 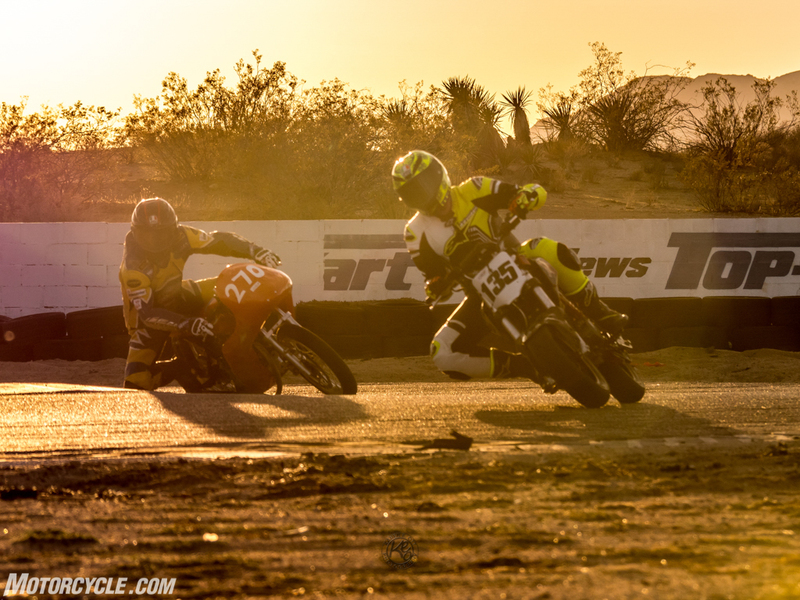 Immediately, the UMRA 24-Hour race was circled on the calendar – six months away from the TnT135 intro. Considering our builds typically occur days (sometimes hours), not months, before the race, we were feeling pretty good about the timeline for a potential TnT135 build. Surprisingly, it didn’t take much convincing for Benelli to agree to do this. Overconfidence? Maybe, but what better way to see if a $2500 motorcycle built in Southeast Asia can last than by racing it for an entire day? 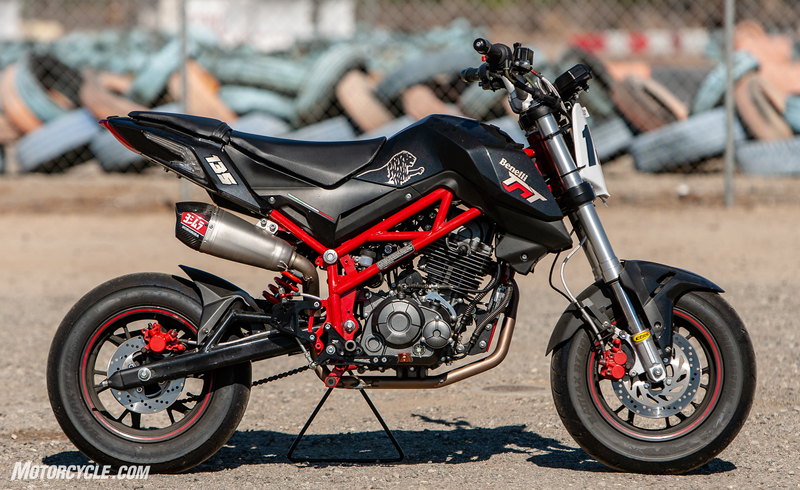 Then again, that’s the same reasoning we used with the Grom and Kymco before. Neither of those bikes had a catastrophic failure (that wasn’t our fault), so we should have known our answer already, but we’re stubborn and really wanted to do this. With half a year to prepare, my eyes ballooned with possibilities. Visions of a full superbike build floated through my mind. Silly me. Since the Motorcycle.com gears never stop turning, in reality the long lead time meant my attention shifted to other stories and projects that needed to get done. We’ve still gotta pay the bills, you know. The bones, as they say, are good with the TnT135 engine. Four valves, two spark plugs, 135cc, and five cogs in the transmission are a good start. An oil cooler and fuel injection are also standard. The Daniel Crower Racing camshaft is most definitely not standard. Thankfully, development of the bike didn’t completely stall. Michael Lee, Benelli’s media guy, reached out to his contacts from his days as part of Aprilia’s racing program, and I thumbed my virtual Rolodex, too. In the end, the list of modifications turned out to be relatively basic. Bridgestone provided 601ss tires and K&N threw down an air filter. 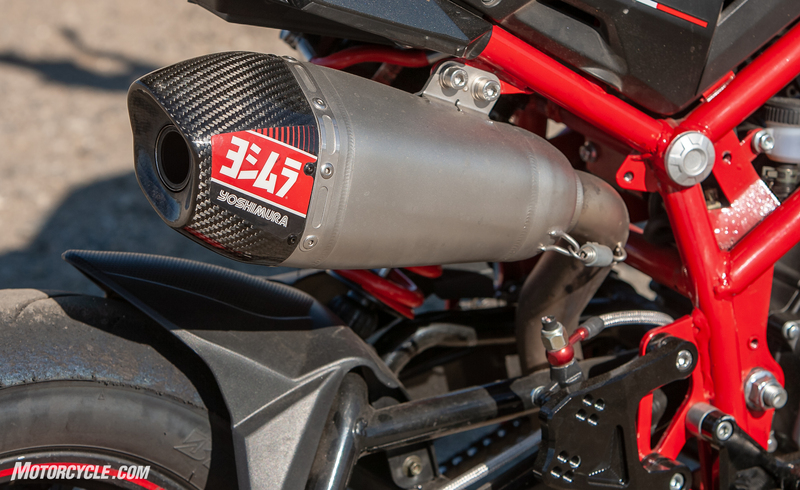 Yoshimura stepped up and developed what is now the RS-9T full exhaust system for the Benelli, while the folks at Power Commander lent a module with revised EFI tuning to match the pipe and filter. They even hooked up a quickshifter to go with. Better brake pads and steel lines were sourced from the Benelli parts bin and thrown on. Yoshimura stepped up and helped us with this RS-9T exhaust. It not only shed a little weight, but also helped the 135 sound good, too. 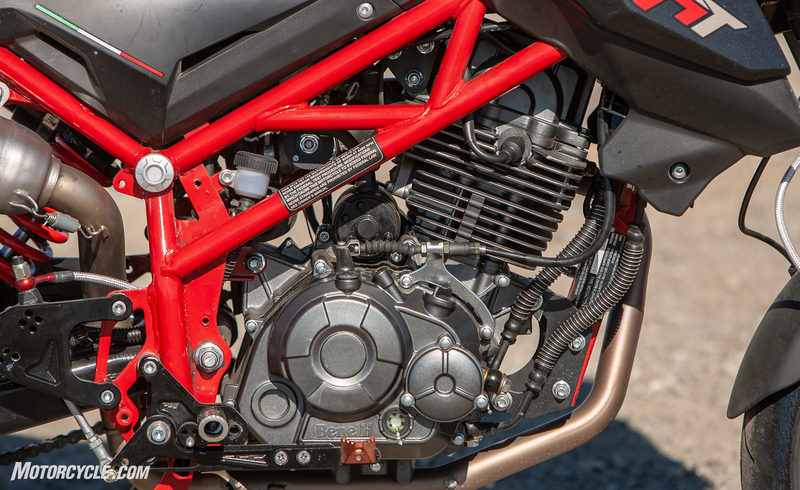 Combined with the air filter we were able to source from K&N, the Benelli was able to breathe a little easier. On the handling front, things proved slightly more difficult than anticipated. 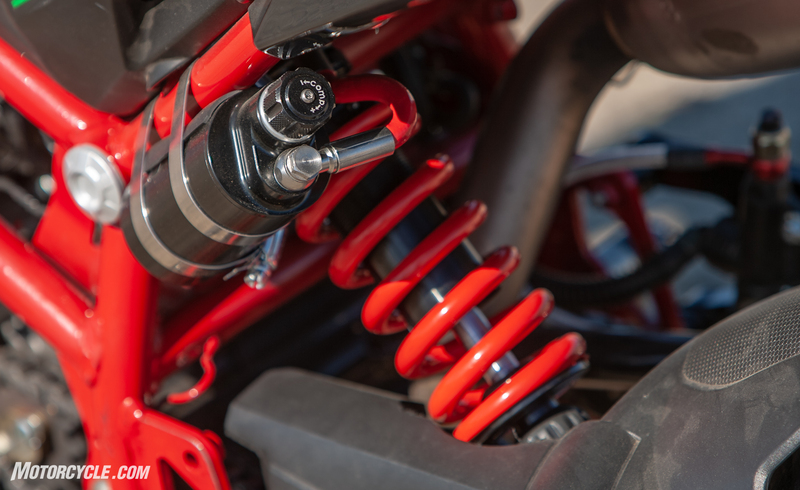 We were lucky the 135’s bolt dimensions and shock length match that of a Grom, so Lenny Albin from K-Tech sent us a fully adjustable unit originally meant for a Grom, sprung for my 155-pound frame. The fork was another story. Long story short, the cartridges inside the Benelli’s 41mm stanchions are tiny, the fork oil’s viscosity is hard to distinguish from maple syrup, and the springs themselves are too soft. Compound this with the inability to machine new cartridges in time, nor the ability to source heavier springs, and options became limited. In the end, using 20w fork oil was the last-ditch solution. It helped the pogo-stick issue, but not by much. To add insult to injury, Albin was able to find stiffer springs eventually, from a mountain bike suspension company of all places, but they couldn’t meet our deadline. Drats. Ground clearance, or the lack thereof, is a major issue with the Benelli, as you can see by the chamfered peg and shifter. The sidestand mounting plate also poses a ground clearance problem, so we took the angle grinder to it and chopped it off. 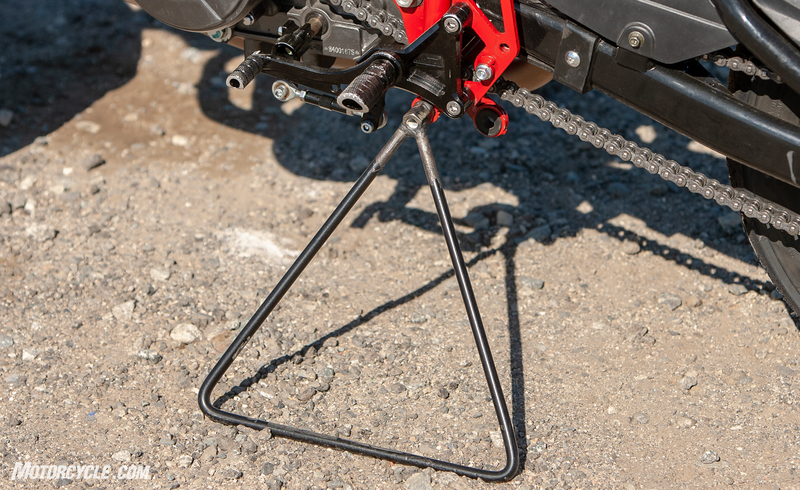 The triangle is a cheap, easy, and effective method to keep the motorcycle standing. Thankfully the TnT135 is not equipped with a sidestand kill switch. Sure, we faced a setback with the fork issue, but this was at least partially offset by the fact Daniel Crower at Daniel Crower Racing agreed to spec a custom camshaft for our little Benelli. After his initial inspection, Crower was excited to get to work on the 135. “The bones are good,” he said to me. “We can wake this guy up!” The result was a new cam with more lift, longer duration, and longer valve overlap (click the link for exact specs of the cam), resulting in a 2 hp gain versus stock (on Crower’s in-house dyno) and 8 mph top speed increase. Percentage-wise, that’s huge! While we didn’t get a chance to independently put the bike on the dyno, we estimate power to be in the 11hp – 15hp range. Short of changing the internal transmission gearing, altering final drive gearing was the next best way to give us the acceleration we were looking for. Superior Racing Sprockets were able to pump out this aluminum one to our spec with a quick turnaround time. We were astonished how much lighter it is compared to the stock steel piece. A major issue with the stock bike is the lack of ground clearance, as the pegs are very low to the ground. Since nobody in the US makes rearsets for the TnT, the Benelli guys turned to a company in China to help. For the life of us we can’t remember the name of the company, and it’s probably better this way as the set they sent hardly moved the position of the pegs. We knew this would be a battle we’d face all race. But as we noticed with this build, whenever one thing goes wrong another went right. Such was the case with the gearing dilemma we faced. 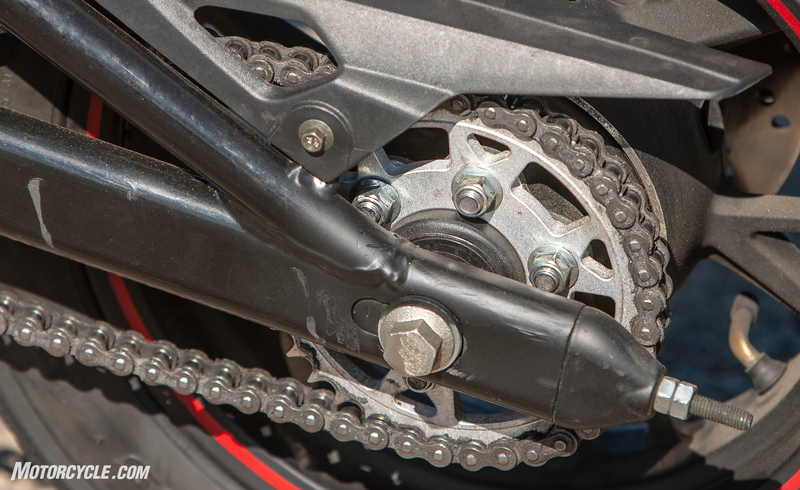 The Benelli’s internal gear ratios are widely spaced between second and third gear. This is fine on the street, but on the track we noticed we were in between second and third frequently. Leaving it in second caused us to hit the limiter mid-corner, while clicking to third created a humongous bog. Superior Racing Sprockets in Oregon came to the rescue and were able to custom make an aluminum rear sprocket with two more teeth than stock (based on a standard sprocket we sent them) in a matter of days. Not only was the new piece significantly lighter than the standard steel unit, it also made a big difference with acceleration. Another big shout out to Lenny Albin at K-Tech Suspension for the suspension pieces at both ends. Little bikes like these don’t exactly tax suspension components, but the replacement shock provided great damping throughout its stroke. Having full adjustability was huge, too. Other than pulling the non-essentials like lights, mirrors, license plate bracket, and other little things, the Benelli was basically complete. Now it was time to race. In the end, our finished machine doesn’t veer too greatly in appearance from the standard TnT135, but it definitely does in terms of performance. In what’s becoming an annual MO tradition, the 24-hour race has defaulted to becoming a team-building exercise, wherein we gather the staff (except for Burns, who knows better) to be riders. This time around we’d have not one, but two(!) 24-hour virgins in Ryan and Brent, and we purposely gave them as little information as possible to prepare. Evans and I were of course the veterans of the group, but a scheduling conflict for BrassCannons meant he wouldn’t be able to join us until sunrise on Sunday. 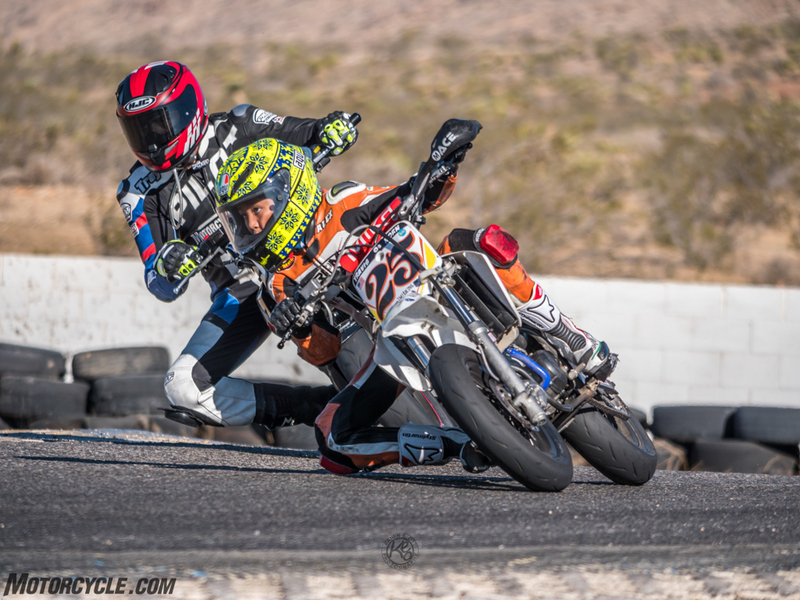 Things became dire when Ryan, Brent and myself were the only confirmed riders on the team, but things looked up when our video guy Sean Matic said he could trade the camera for his leathers (at least for a little while) and ride with us. The pressure was lightly lifted now that we met the minimum rider quota of four riders (excluding Evans), but it’d be nice to have one more. With only days before the race, the available pool of free riders was looking slim, but it turns out the person we were looking for was obvious from the start – none other than former MO E-i-C Kevin Duke. He’s the perfect size for a mini, has the experience, the speed, and importantly, the availability. And like that, our team was set. 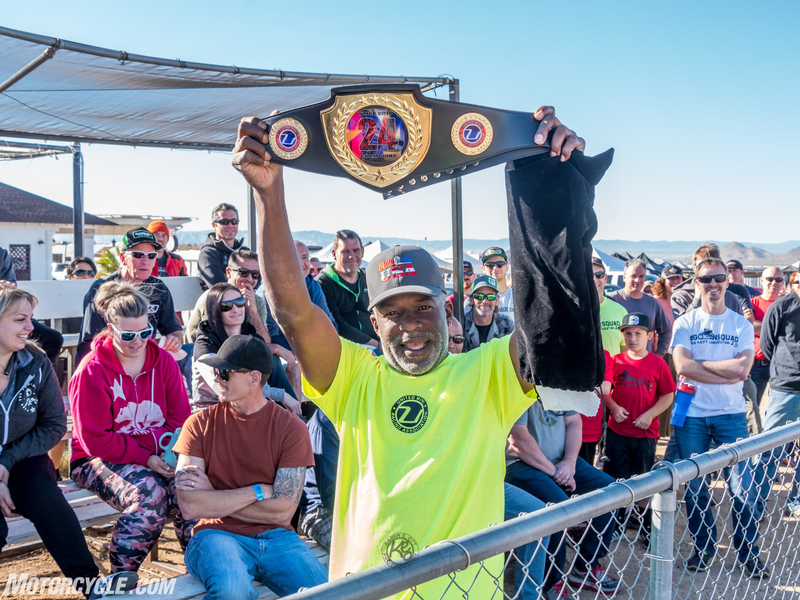 Trophies are nice, but the winner of the 24-hour race gets the coveted championship belt. Hulk Hogan would be proud. Originally, we wanted to compete in the same F5 class where the Groms and other 125cc minibikes are allowed to play, but UMRA rules cap engine size to 128cc in F5, meaning our 7cc potential displacement advantage put us in the GP65 class, with 150cc air-cooled four strokes and 65cc liquid-cooled two-strokes. Suddenly, we found ourselves bringing a knife to a gun fight when originally we thought the tables would go the other way. Not to fear, however, because we had a plan: our goal was to stop in the pits as minimally as possible, ideally only for gas. If we were the tortoise to everyone else’s hare, hopefully our fortunes would turn out the same. To that end, we hedged our bets on the Benelli’s 2-gallon tank lasting us at least two hours per stint. Of course, we MOrons couldn’t be bothered to do a mileage test beforehand, so we really had no idea how long we could go on one tank. That task would fall on me, during the race, as I was nominated to start things off. 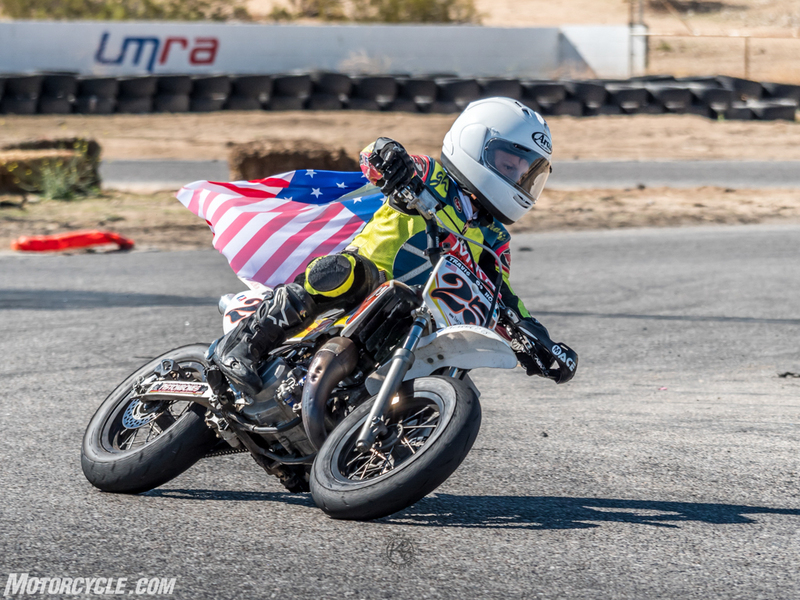 See, we’re not the only ones who think racing little bikes is fun. These fine folks do, too. Although there’s a reason why this picture was taken before the race started. 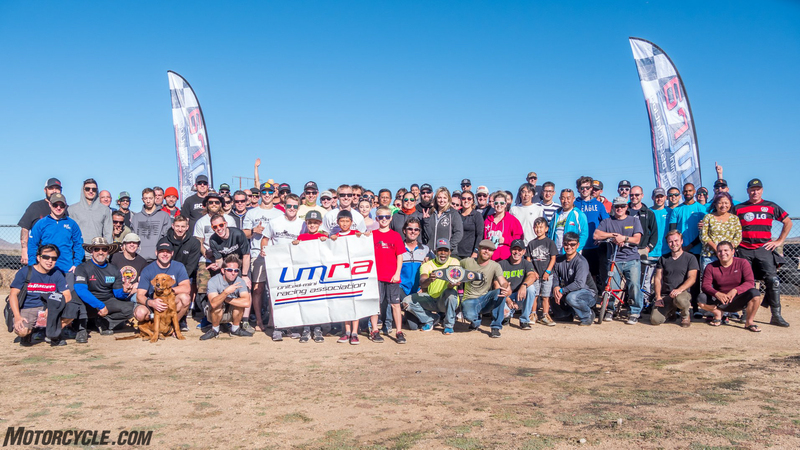 Nonetheless, the United Mini Racing Association (UMRA) has consistently put on a fun endurance race year after year. 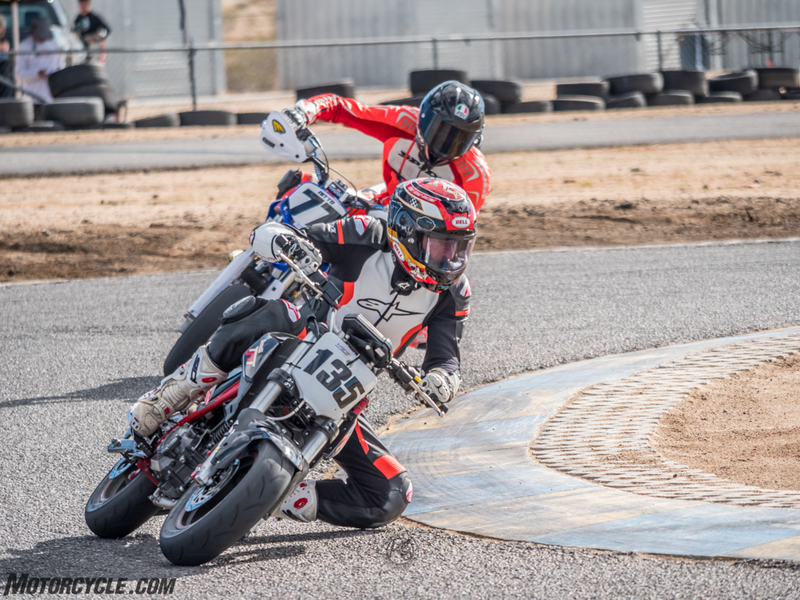 It also hosts two other minibike endurance races in its season: a seven-hour race and a 365-lap race. Put them together and you have the 24/7/365. Get it? Going as fast as you can and dicing with the competition is what makes racing fun, but if there’s one thing to keep in mind during endurance races it’s to stick to the plan. Other teams can break down, riders can get tired, and fuel tanks can empty quicker than yours. As it turns out, all of these things happened just within my own two-hour stint. Eventually I noticed motorcycles I hadn’t seen since the start of the race, but with different riders on them – they pitted! This happened more and more, sometimes more than once during my stint! The plan was working, except for a minor snafu: the Benelli’s fuel gauge is horribly inaccurate – the fuel level can decrease by one bar while leaned over in a corner, then right itself once vertical again. Judging when to actually come in for a fill-up and rider change proved challenging, but eventually the fuel gauge blinked empty consistently no matter which orientation the bike was in and it was time to pit. As it turned out, slow and steady is good, but outright speed is better. Over the course of 24 hours, the disparity in speed between bikes and their riders allowed the faster teams to build a big enough gap over us that they could pit more often and still come out ahead of us. Despite our best efforts of the entire team staying out at least two hours, and our ringer Evans hopping on the bike fresh after missing the first 22 hours, ultimately we’d fall down the rankings, finishing sixth overall and fourth in class. We knew all along the chances of winning were against us, but that wasn’t the point. We wanted to put the TnT135 through its paces, have fun with our friends, and make new memories. In that regard, we easily succeeded. You think you’re fast until you get passed around the outside by a 10-year old. To the first point, the Benelli was ridden harder, and longer than likely any TnT135 had been before. Through it all, the bike was almost trouble-free, though the issues we faced were pretty minor. Other than an inaccurate fuel gauge and pegs dragging on the ground frequently, the bike would intermittently cut out after heavy braking at high speed into tight corners. Luckily this happened in practice, and our best guess was an issue related to the Power Commander, so we yanked it off the bike and continued on, meaning we did the race without a quickshifter. Not long after sunrise, when we thought we could cruise to the finish, the bike lost all power again. Unlike the Power Commander issue, this time the gauges went completely blank and no amount of cycling the key or kill switch would turn the bike back on. When adversity strikes, the racing community chips in to make sure you finish. Especially in endurance racing. Even if it means you finish higher than your competitors. Having done a 24-hour race before, Kevin was already aware of the team spirit amongst all the teams in the paddock, but what about the newbies? What did they think about racing a little bike around the clock? When you’re clearly faster than every other team and are going to win the race, you’re allowed to show off and wear the flag as a cape. Evans taking us home after a relatively easy (compared to previous tries!) 24 hours of racing. 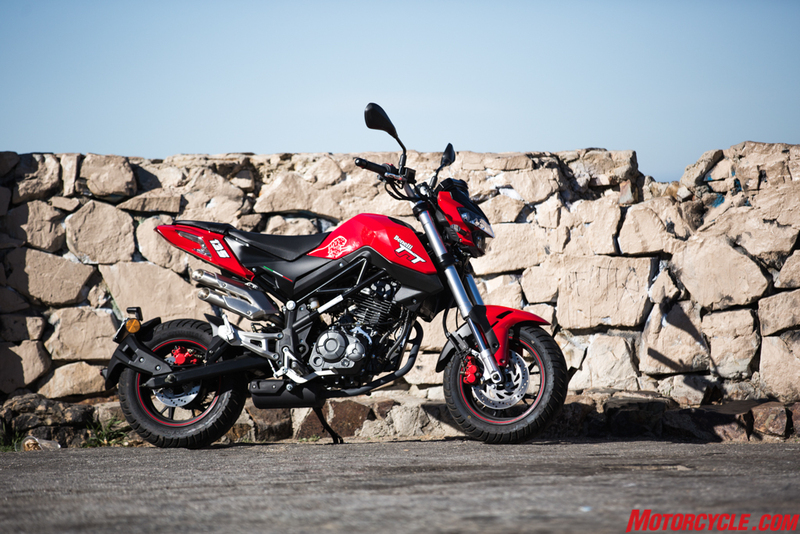 The Benelli TnT135 impressed us with its performance considering what little we did to it. But now we know where to improve for next year.